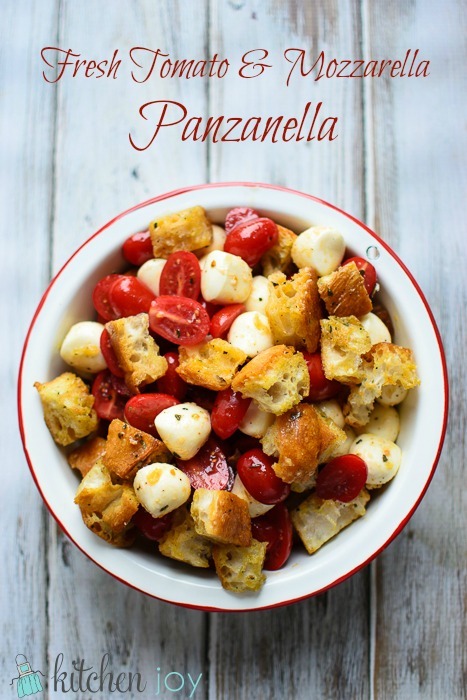 I’ve never made a panzella (Tuscan bread and tomato salad) before, but now that I have I can’t wait to make it all summer for a nice lunch or light dinner. 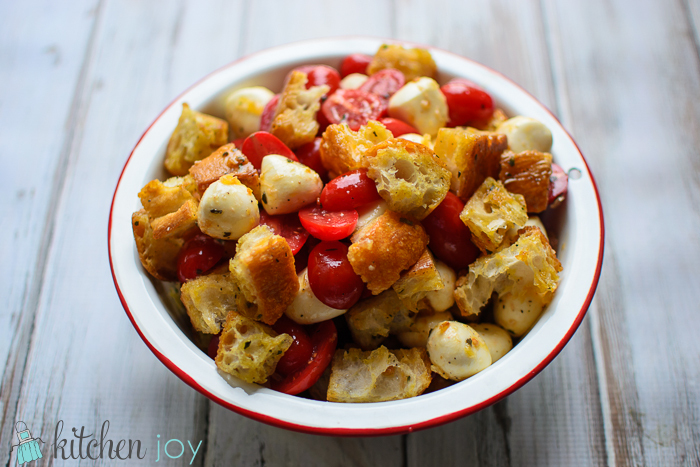 July 24, 2014 Update: We enjoyed this Fresh Tomato and Mozzarella Panzanella for dinner again last night, and it was the perfect light dinner on a warm evening in Italy. I did find that the tomatoes, honey, and apple cider vinegar available here are somewhat sweeter than what we have in the U.S., so taste the dressing as you add each ingredient, being sure not to add more honey than is needed. Ours would have benefited from a touch less honey. We both had just enough room leftover for some gelato. Whisk together the olive oil, apple cider vinegar, honey, salt, and pepper together in a deep bowl. Adjust seasonings to taste. 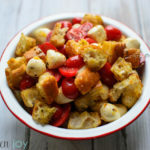 Note: Measurements for the croutons, tomatoes, and mozzarella do not need to be exact. I prefer to have roughly equal parts of each. Feel free to use however much you would like of each.